We work ourselves too hard and most of us would rather carry more than we can handle so we don't have to do too many journeys. 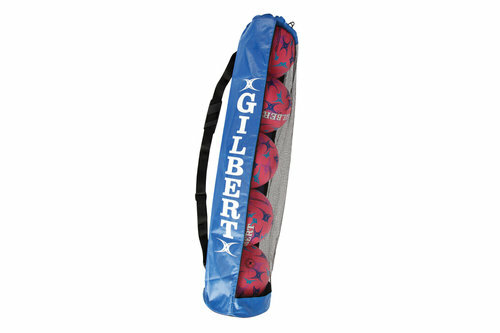 Make it on yourself by using this Gilbert Ball tube in Blue. This ball tube holds 5 inflated balls. It comes with a shoulder strap and tie cord to make it easier to carry and less likely for anything balls to fall out when it's not quite sitting on your shoulder right. It's made from a fine mesh and polyester outer.